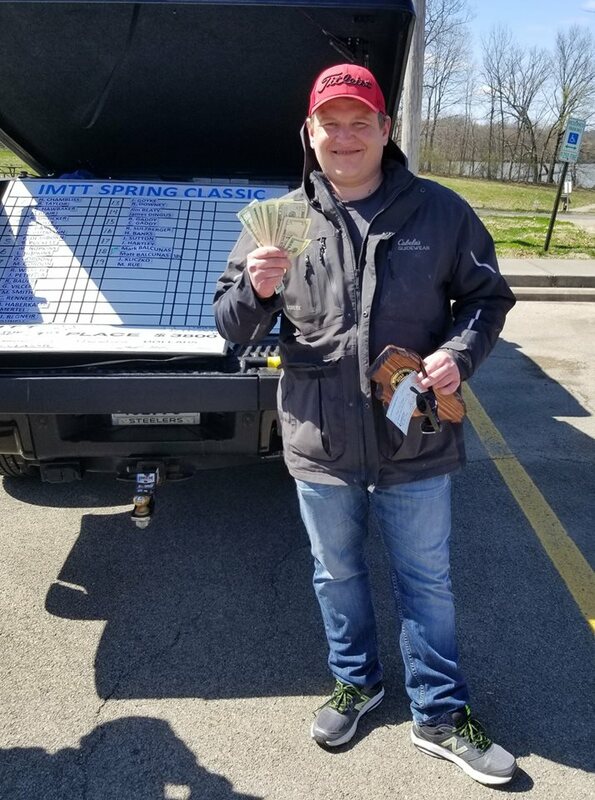 We kicked off the 2019 Trail with the Spring Classic on Kinkaid Lake this past weekend (March 30th & 31st). 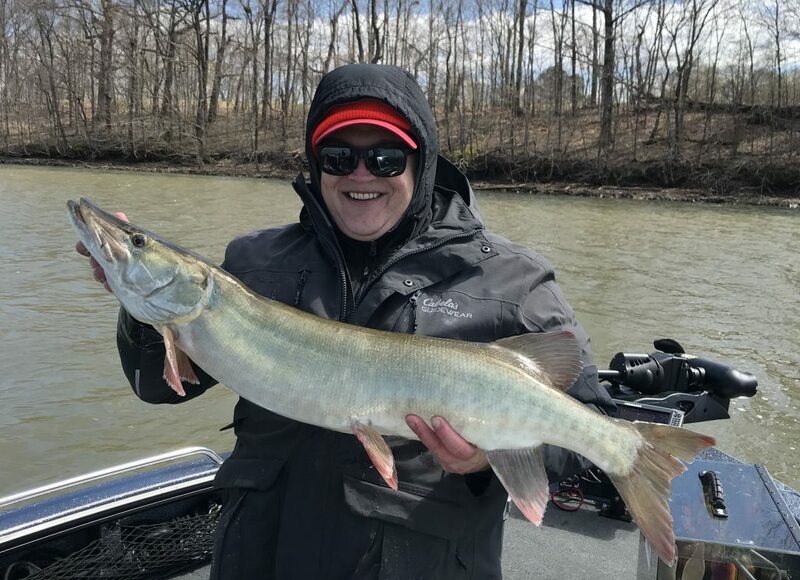 We had 19 boats with 38 anglers that were ready to knock the dust off their muskie gear and get the year started. 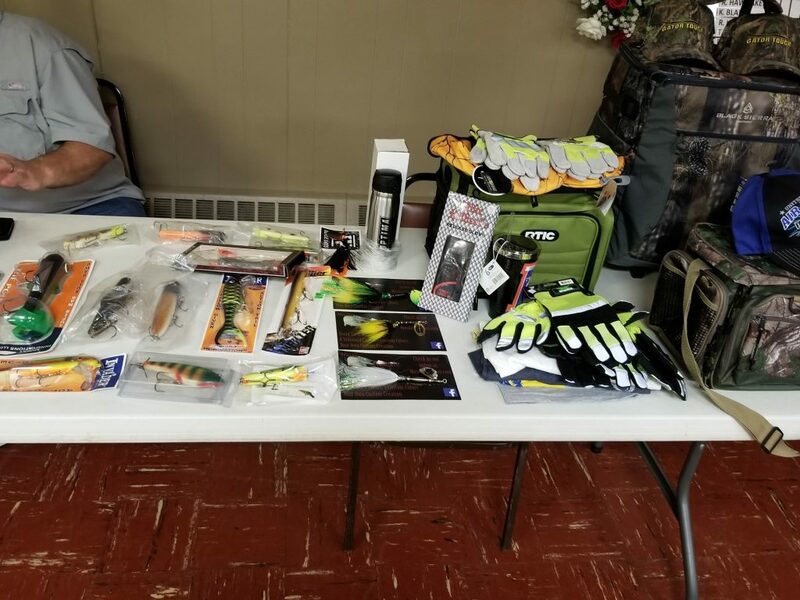 We were glad to see all of those who came out to fish, but even more so to see number of new faces and old faces that we had not seen in a while. Saturday morning we headed out on the lake greeted by 60 degree temps. The first couple of hours on the water were quite comfortable, with a few periods of light rain. But,we did experience an hour and fifteen minute storm/lightning delay mid morning. We we returned to fishing it did not take long for the rain to return and the winds to shift. By the time we got off the water on Saturday, the air temperature had dropped almost 20 degrees. The challenging weather left us with only one undersized fish caught on Day 1. But we did have a great dinner & raffle Saturday evening. We collected 734 food items which were donated to the Murphysboro Food Pantry. There was one boat that managed to find a hungry fish on the troll. Matt Balcunas caught a 38.5″ fish with about 2 hours left in the tournament. That was the only legal fish to hit the net for the weekend. This meant that Matt and Mark Balcunas won 1st and only place awarded for the tournament. 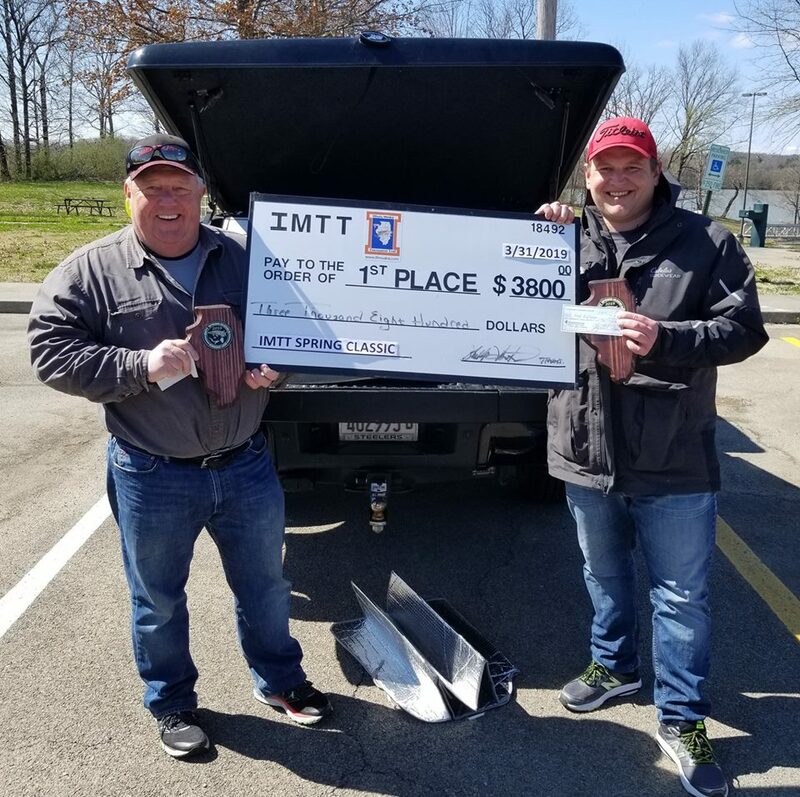 That 38.5″ fish landed was worth $3800 for 1st place, and Matt Balcunas also won the Big Fish pot for an additional $380. Not a bad day for them, landing a fish that was worth over $100 an inch!. We will be back on the water in two weeks with our Jake Wolf Tournament. This year we are fishing two lakes during the tournament. On Saturday, we will fish Spring Lake North, and then on Sunday we will fish Wheel Lake, which is part of Banner Marsh. Since we are using two different lakes, we will fish both lakes from 7 a.m. – 3 p.m. There are a number of spots available. 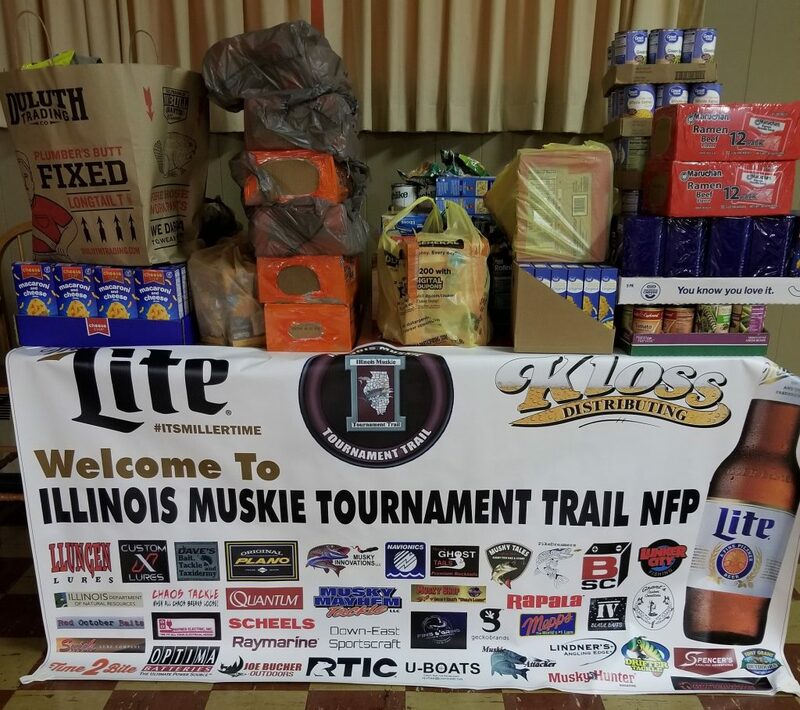 Please come out and join us Friday Night Registration for that tournament will be at McCritter’s Grill in Pekin from 5-8 p.m. We hope to see you there. And just as a reminder, last year’s fishing licenses expired as of April 1st, so make sure to get your 2019 license.